How about experiencing a great transformation? The boy who never shown any interest in education turned into a great reader and loved his studies! 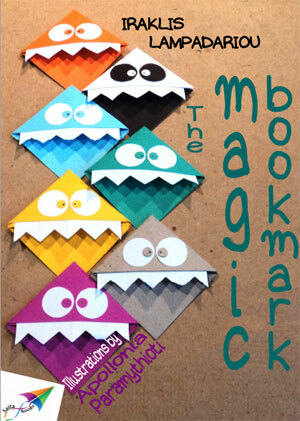 It all happened by a magic bookmark. Jason is just the same like other kids who refuse to go to school. He loved to do everything, except going to school. He hated his school! He found school education was so boring. He felt very tired! He just wanted to play all the day, watch television, sleep, etc. He did not care missing his friends. He would love to skip the school even if he was not allowed to meet his friends. Just for the sake of attendance, he was attending school. Every subject and every period bored him. He was not interested. He hated even the intervals. He was the first student to run away from school to home after school hours. He had his ears too sharp to hear the school bell. To get the homework done, his mother used to scold him. She felt, it would be the most terrifying thing in the world. Every day she had some negotiations and token of appreciation to Jason to complete his homework. This continued until a miracle happened. One day, a teacher asked the students to do a project! It should be unique and the students were asked to use their imagination. Creativity makes the best project. Jason was so happy! For the first time, he was excited to do a school project. He had no words to express his happiness. He decided to do something wonderful and make his project the best one! He rushed to his mom cheerfully. Even Jason’s mom was quite happy and surprised to see him so cheerful. Yes, she never saw her son returning back home happily. Jason told her about the school project and requested her help. Since Jason did not read many books, he was confused. Finally, he decided to do a bookmark! (He grasped the idea from his mom’s words). He crafted it so colorfully and beautifully. The bookmark changed his life forever, for better. Read the story for more! The images of the eBook are perfect addition to the story. Jason’s actions were picturized perfectly. This story is an inspiring and must to read eBooks for kids. Just like Jason found his interest and developed love for education, every child has special hidden talents to unleash!